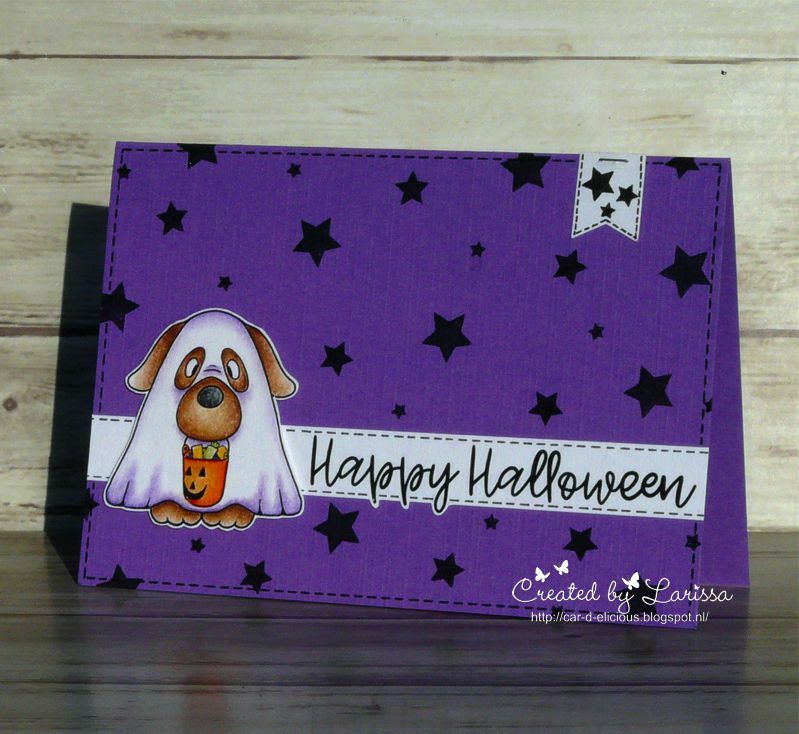 I made a card with the stampset Where is the candy from Gerda Steiner designs. 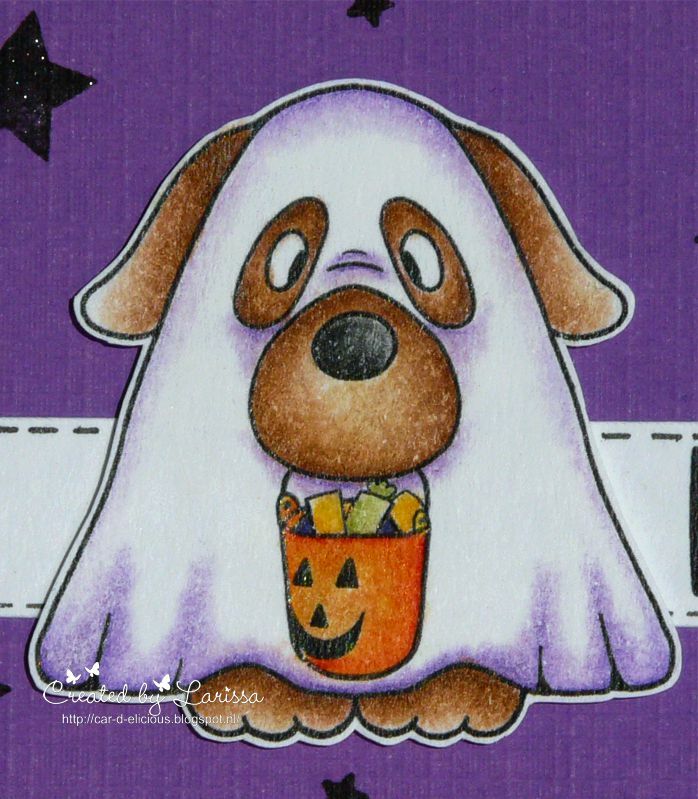 I stamped the funny dog and then I coloured it with my Polychromos pencils and the black glaze pen and then I fussy cut the image. I stamped the sentiment on white cardstock and added faux stitching lines above and belowe the image. 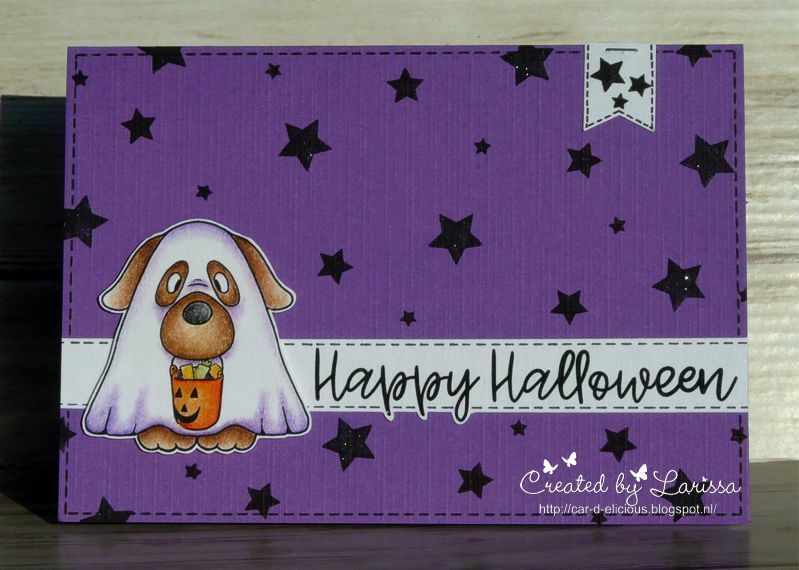 I have cut the strip with the sentiment and then I adhered it on a purple card. I adhered the image with foamtape on the card. I also added faux stitching on the card. Then I stamped stars in a couple of sizes from the stampset Big greetings from Avery elle on the card. With the banner punch from Stampin up I punched a little banner from white cardstock and I stamped another 3 stars on it. I added a staple with the Tiny attacher and then I adhered the banner on the card.